The twelve story 1300 Ponce De Leon condo in Coral Gables (or simply 1300 Ponce) fuses the city's classic architecture with a modern design, all located just a few blocks of Southwest 8th Street, also known as Tamiami Trail and the same roadway where the Calle Ocho Festival is held. 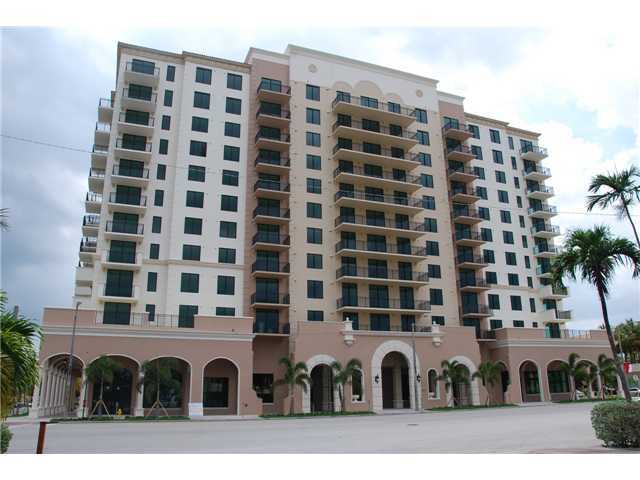 The Coral Gables condos for sale within the building area available with one, two or three bedrooms. In addition to concierge, 1300 Ponce De Leon has a swimming pool, a fitness center with a host of modern equipment, social room and billiards, just a sample of its many great amenities. Besides the great views of the city, the residences also have modern features that go far beyond the balconies/terraces and the pre-wiring for broadband Internet. Square footage for the 1300 Ponce De Leon units ranges between 855 to 1,556 square feet. Coral Gables is home to many places that fuse modern and classic design, like the Biltmore Hotel or the Village at Merrick Park which offers open air shopping and dining. Explore nature at Fairchild Tropical Gardens, visit the shops and eateries of Miracle Mile or use Tamiami Trail and head east to visit the city of Miami and its popular Brickell and downtown areas.